Istanbul, Turkey headquartered Statu Shipping has chosen Ozsay Satellite Communications to migrate its 11-strong bulk container vessel fleet to Marlink’s VSAT-based satellite communication services. Marlink will deliver high-speed maritime broadband using its market-leading Sealink VSAT and new 1GB Allowance plans managed by the XChange communications management system, enabling Statu Shipping to benefit from higher throughput, and improved reliability and stability on its real-time fleet monitoring and planned maintenance systems. Statu Shipping’s primary driver for migrating its fleet to VSAT was to achieve more bandwidth and uptime for the Navatom fleet management system, developed by its subsidiary software company Hive Inc. Navatom is a cloud based web application that shows vessel and company activity in real time using cutting-edge web technologies. Since its deployment throughout Statu Shipping’s fleet, Navatom has provided significant improvements in management performance, however, the Hive Inc. team advised Statu Shipping that migrating to Marlink VSAT with Ozsay Satellite Communications would unlock the potential of their solution. Marlink and Ozsay Satellite Communications have already migrated six Statu Shipping vessels to the Sealink service, with the remaining five expected to be completed by June 2017. Early reports show a significant reduction in the numerous issues experienced using the Navatom solution, which previously suffered from regular disconnects, and slow connection speeds. Statu Shipping’s move to VSAT began with a trial of the Sealink 1 GB Allowance plan, with speeds of 3096/512 Kbps on an 83cm antenna. Following successful completion of the three-month trial, the company opted to use the 1GB Sealink Allowance on all of its vessel in addition to installation of Marlink’s advanced XChange system. XChange enables Statu Shipping to manage its communication network from shore and to support the provision of communication services for crew members; another key driver for migrating to VSAT. 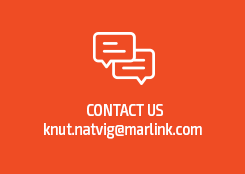 To secure a stable network between ship and shore, Statu Shipping also uses Marlink’s Virtual Private Network (VPN) service, which supports operational control via remote access to the vessel. Additionally, Statu Shipping crew will benefit from low cost voice calling on board, through Marlink’s Local Numbers service. Calls from shore to a Statu Shipping vessel cost the same price as a local call, with telephone numbers available from more than 50 countries and 4,000 cities worldwide.